once in a blue moon ??? love the blue moon, missed this one earlier, not sure how, it's great. 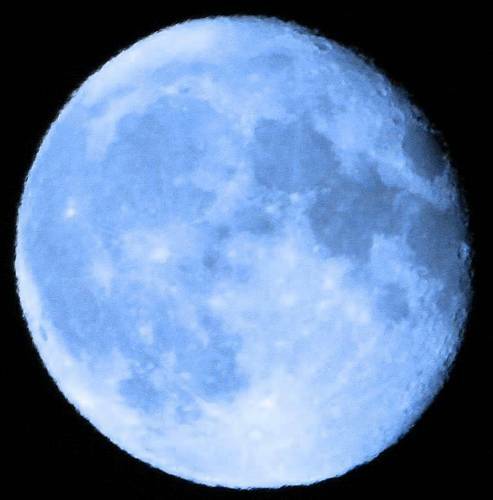 I always wondered what a blue moon looked like. Great shot of the moon.